If you are just starting out a new business, or perhaps you have just extended the product range you offer, you may be looking for packaging for your products. This article will help you decide whether the Single wall or Double wall Cardboard box is right for you. 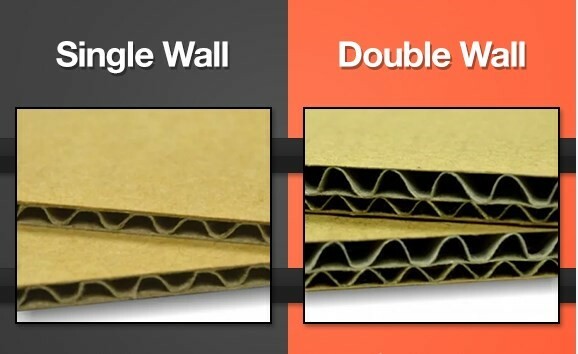 What Single and Double wall Boxes have in common is that they are both made up from two sheets of cardboard. They also have an interior layer of fluted card. One row of this constitutes a single wall box and two rows, a double wall box. Single wall cardboard boxes are perfect for packing lightweight goods such as bottles, shop equipment, clothing, and bric-o-brac. Despite common misconceptions, they can be of considerable quality- thanks to the fluted card used between its two layers. They are perfect for storing items for a short length of time and are certainly the most cost effective option. Where single wall boxes may not be adequate is if you are storing items for a long period of time. 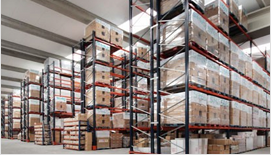 For instance in a warehouse or storage centre where you may want extra protection. For example, you may want reassurance that goods are going to be protected against pests and storage conditions (such as potential damp). You may also need to opt for something thicker like Double Wall Cardboard boxes if extra shock absorption is needed. For instance if the cardboard boxes will be used for moving goods, shipping between stores or out to customers. Although slightly more expensive, Double Wall boxes, as the name suggests are double lined which makes them a good option for heavier items such as machinery, glass/pottery, metal items or very large volumes of paper goods which can be very heavy in bulk. The double level of fluted card also gives them a significant advantage in protection over the single wall boxes. Any knocks or dinks to the box exterior are not likely to penetrate through the box and risk damaging the goods inside. Will by goods be stored for a long time? If yes, where or in what conditions will the cardboard boxes be stored in? Will these boxed being shipped by a courier or used for transit? How heavy are the goods you want to store? Do your items need protection? The answer to these questions will help you to decide whether or not single or double wall cardboard boxes are right for you and your business needs.